The old St. Joseph’s Church was built in 1895-1896 by William J. O’Connor and was established as a Parish in 1898. In simpler times long past, this new structure served the local residents as a gathering place to worship, meet people, listen to music and socialize with friends and family. 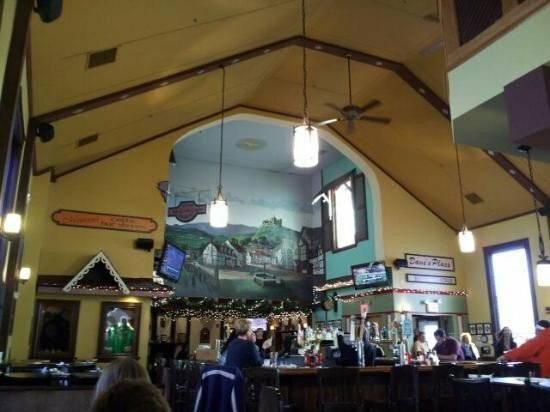 Today, over 100 years later, the same basic structure has been turned into one of the Seacoast’s premier restaurants by the Kennedy family. 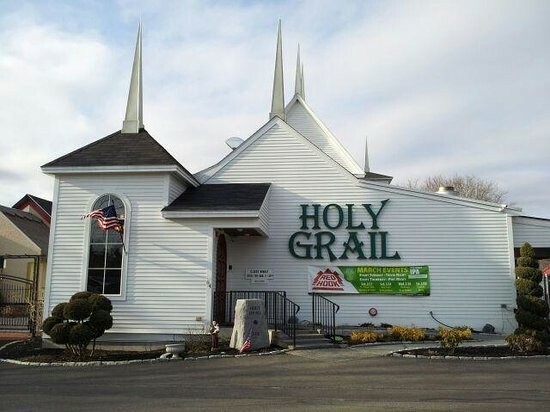 The Holy Grail Food & Spirits strives to be a pub in the truest sense of the word. We have combined present-day ideas with the family values of our Irish heritage. David’s family roots originate from County Tipperary, and Maureen’s family from County Galway, Ireland. The “Cottage Room” resembles the home of Maureen’s grandparents on Joyce Mountain, located down the road from the home of James Joyce, the famous Irish author and poet. The “Choir Loft” provides the setting for an intimate dining experience. 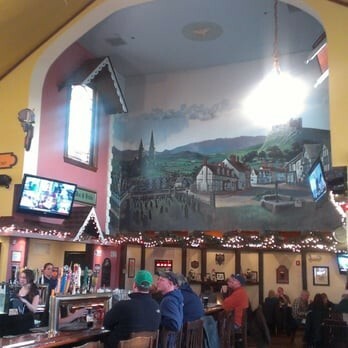 It overlooks the main bar and Irish village mural on the altar wall. The loft also features exceptional views of the building’s original stained glass windows. Pew-like booths line the walls. 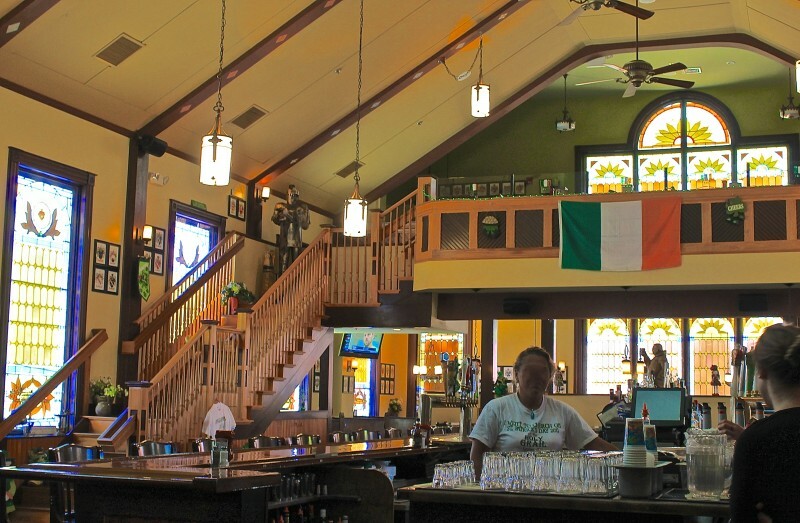 Authentic Irish/English cuisine enhances our guests’ overall dining experience. We would like to thank you for joining our family for a hearty meal, a refreshing beverage and interesting conversation. We would like to invite you to return often and become part of our new family.